Revenue cycle errors can cause reimbursement delays and other financial problems at hospitals. 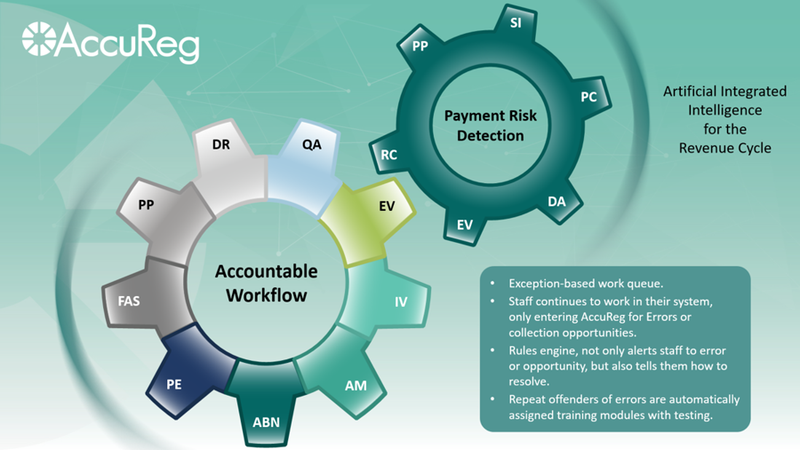 But standardizing and automating front-end processes, such as registration, helps eliminate these problems, said Paul Shorrosh, founder and CEO of AccuReg Software. Mr. Shorrosh said examples of this include helping patient access teams efficiently register patients, as well as improving accuracy of collected demographic and insurance data and screening for medical necessity and financial assistance options. “Patients need accurate estimates and easy pre-service payment options to deliver a positive patient access experience, and having all required multiple processes in one platform that guides the registrar through each patient situation is invaluable to overall RCM success and patient experience,” he said.